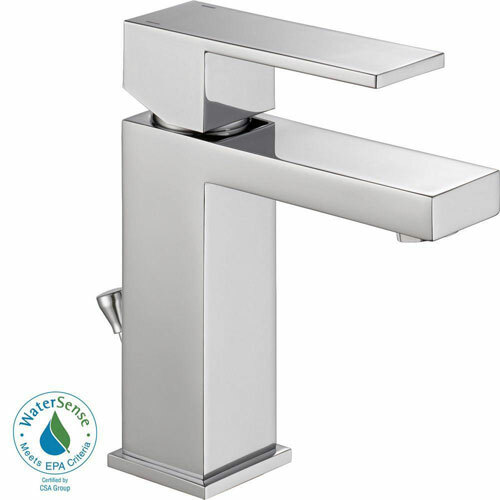 With defined geometric angles and edges, this Ara 4-inch Single-Handle Bathroom Faucet in Chrome creates a streamlined look of contemporary elegance. Models have 50/50 pop-up type fitting with plated flange and stopper. 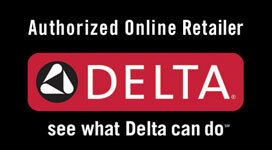 Delta is committed to supporting water conservation around the globe and has been recognized as WaterSense Manufacturer Partner of the Year in 2011, 2013, and 2014. Item Boxed Weight: 5.09 lbs.